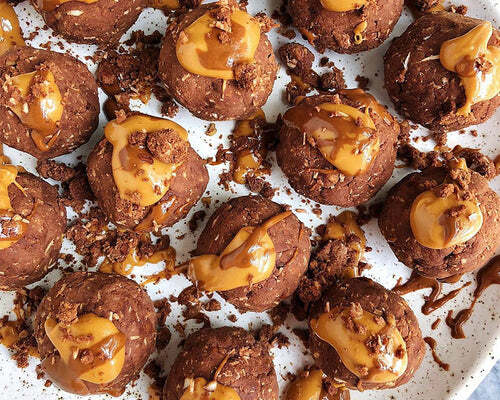 We are sending off 2018 with a big hug, and starting 2019 with a recap of our Top 10 most loved (and most delicious) Vegan recipes on Instagram. If you aren’t yet following us on Instagram, that’s where all the fun stuff happens first, and we’d love to see you there! In addition to these Vegan favorites, there are many more on our blog which you can search by keyword or category. Also, most of this year's Top 10 Keto and Top 10 Paleo recipes are Vegan too (and always always Gluten Free). 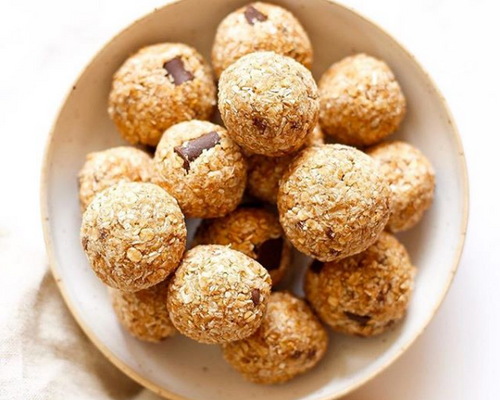 The following recipes use our no-bake Vegan Protein Bar Mixes and Vegan Energy Bite Mix. All are no-bake & minutes to make. Just click a link below to view YOUR favorite. With a fork, mix & mash all ingredients in a bowl. Press "bar-dough" into a pan with a spatula, or roll it out with a rolling pin. 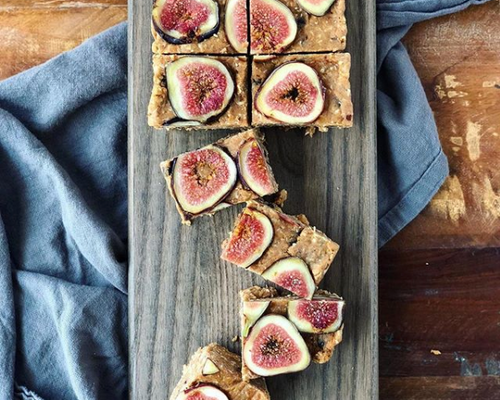 Top with fresh figs and cut 8 to 12 bars. * One small to medium banana is approx 1/3 cup. Three bananas approx 1 cup. Mix with a fork, press into a pan, and cut 8 bars (or roll 24 balls). Follow the Original 1-2-3 on the back of any Creation Nation no-bake Protein Bar Mix, but roll larger balls. Press thumb into the center, like a thumb pop! Drop in your favorite creamy nut butter and pinch closed/ roll into balls again. Dust with freeze-dried berry powder. 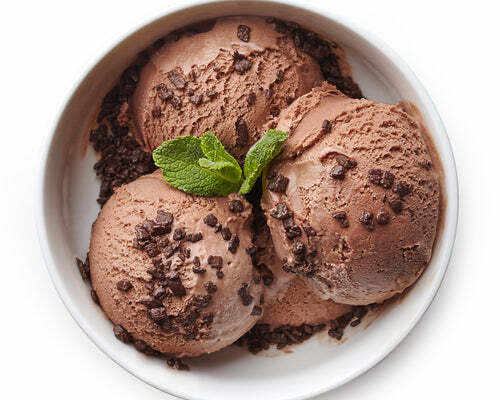 Blend all of the ingredients together in a high-speed blender or food processor. Mix all ingredients until well combined and press “dough” into a square glass dish. Let set in the fridge for about an hour before adding fudge layer. Combine ingredients in a small sauce pot on the stove. Melt at medium-low heat & stir until well combined. Pour over the chilled oat bars & place in the fridge to cool again (30 mins to an hour). Combine all of the above ingredients in a medium sized bowl and Mix with a fork. Optional: drizzle with extra PB. Or for Protein BalliPops, insert skinny pretzel sticks and dip the protein pops in Creamy PB. They will firm up more if placed in fridge for 20 mins. We hope you enjoy these Vegan recipes for many years to come, and keep checking back for new recipes too!